On Saturday 25 May, let your feet create the beat at the Discovery 947 Rhythm Run! Parents-to-be and parents of ages 0-4 look no further. TruckX 2017, South Africa�s premier trucking, logistics and fleet expo, hosted in conjunction with Standard Bank and Ctrack will be held at the newly revamped Kyalami Grand Prix Racing Circuit, Johannesburg. This is your chance to light up the night with a high energy dash around the track at the pristine Kyalami Grand Prix Circuit for the second ever Discovery 947 Rhythm Run. South Africa Bike Festival, powered by Discovery Channel, is now the market leading annual showcase in the SA motorcycling calendar. 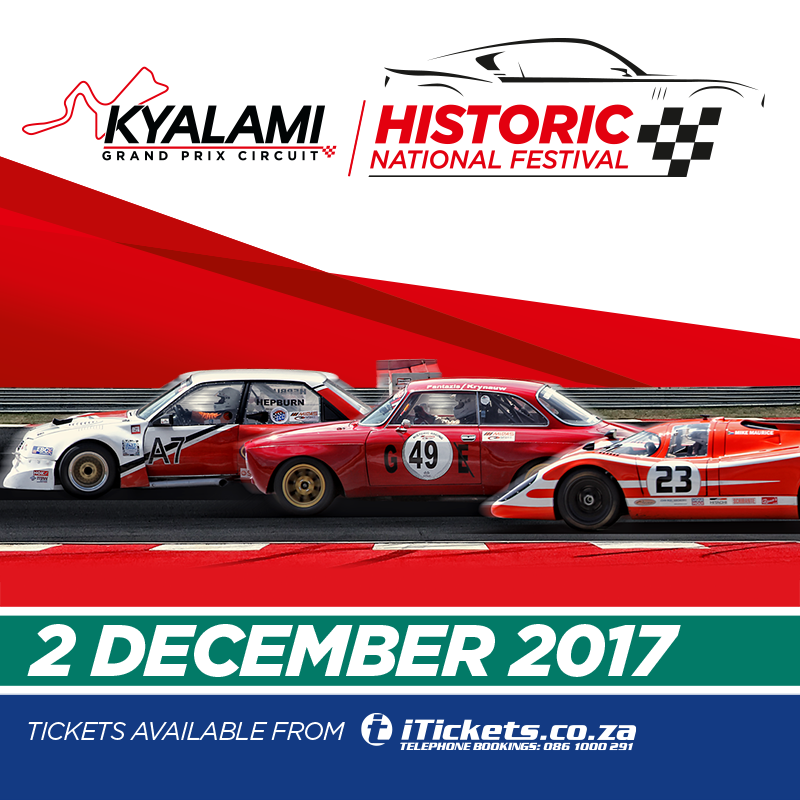 The third installment returns to the legendary Kyalami Grand Prix Circuit, 25-27 May 2018. 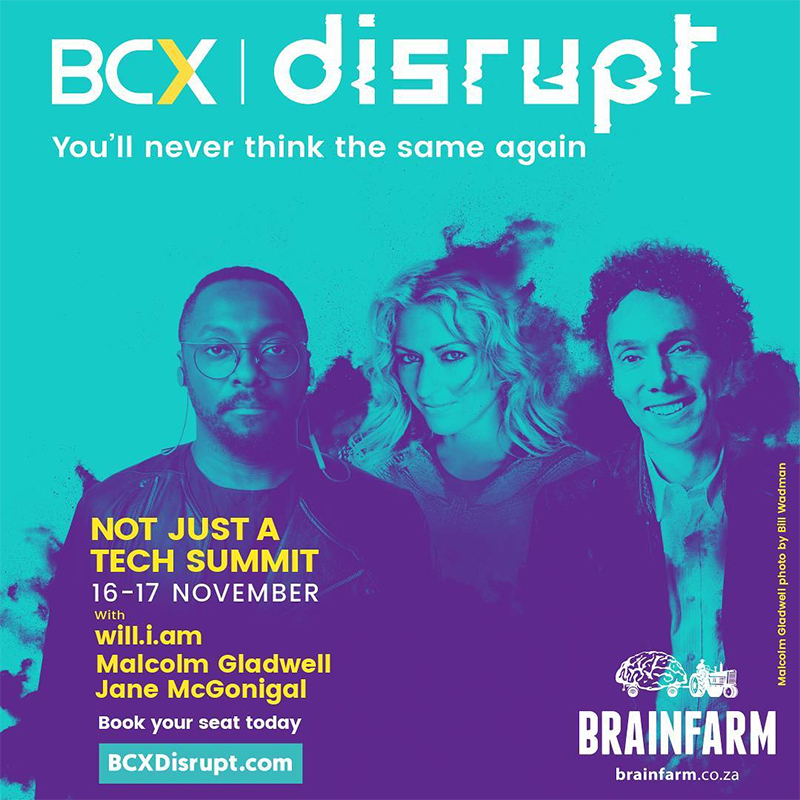 Meet a new breed of insurgents who are driving disruption at the frontline of technology, business and beyond at the BCX Disrupt Summit 16 � 17 November at the Kyalami Grand Prix Circuit & International Convention Centre. 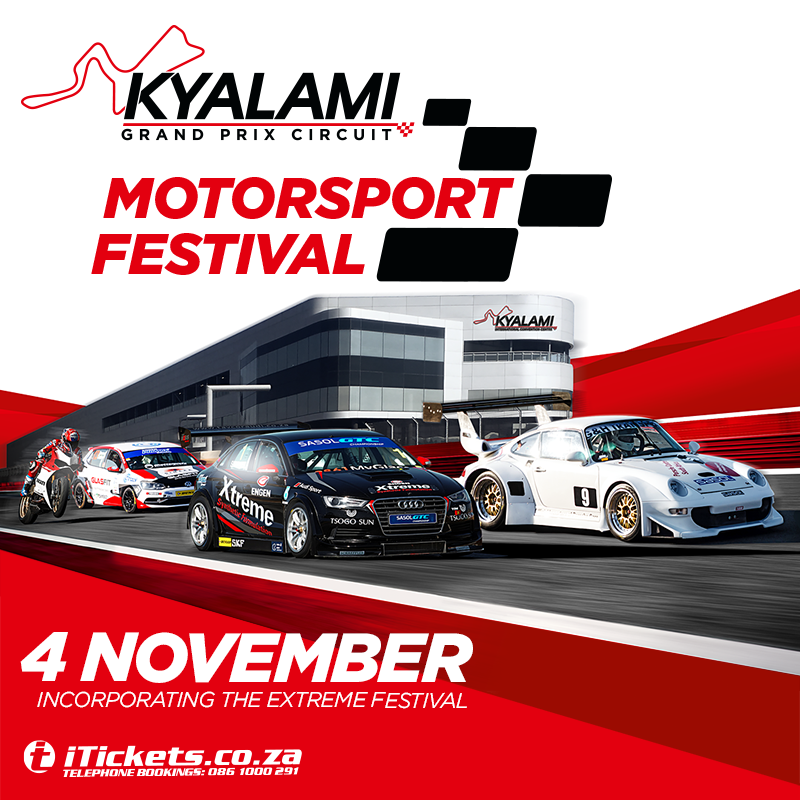 The Kyalami Motorsport Festival is back with action packed racing on the 4th of November at the Kyalami Grand Prix Circuit. If you understand the thrill of 0 - 100 in a matter of seconds, if you're soothed by the revving of a turbo engine and your dreams take you straight to the racetrack; the first-ever BMW M Festival is for you. The fifth annual DStv Delicious International Food & Music Festival will once again be held at the prestigious Kyalami Grand Prix Circuit on Saturday and Sunday 7-8 October 2017. Shell V Power SEFAC Experience Day, the largest gathering of Ferrari supercars from Maranello in the Southern Hemisphere, will be held on 23 September at the Kyalami Grand Prix Circuit north of Johannesburg. The Franchise Business Festival held in South Africa is the perfect opportunity to show thousands of visitors what franchise business you have on offer. It's for the avid runner, the social runner or the havent-run-yet runner. The Discovery 947 Rhythm Run is the coolest new night run in Jozi.